Tag Archives for " Killing Marketing "
Most of the success stories in business marketing circles these days involve product and service companies thinking and acting like media companies. 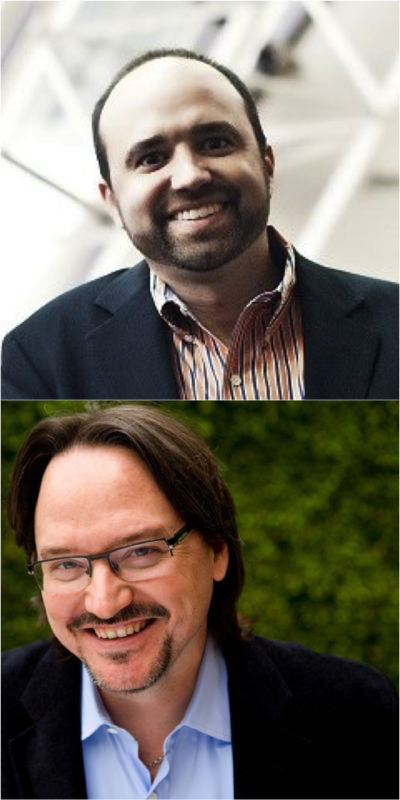 My guests for this week’s episode of the Duct Tape Marketing Podcast are Joe Pulizzi, founder of Content Marketing Institute, and Robert Rose, Chief Strategy Advisor of Content Marketing Institute. They are also the authors of Killing Marketing: How Innovative Businesses are Turning Marketing Cost into Profit. We discuss this topic and how to get businesses to think differently about everything they are doing in their marketing efforts. Pulizzi is the winner of the 2014 John Caldwell Lifetime Achievement Award from the Content Council. He’s the author of five books, including his latest, Killing Marketing. His third book, Epic Content Marketing was named one of “Five Must Read Business Books of 2013” by Fortune Magazine. If you ever see Joe in person, he’ll be wearing orange. Rose’s first book, Managing Content Marketing, spent two weeks as a top ten marketing book on Amazon.com and is generally considered to be the “owners manual” of the Content Marketing process. Robert is also the co-host, along with Pulizzi, of the podcast PNR’s This Old Marketing, the #1 podcast as reviewed by MarketingPodcasts.com. Rose innovates creative and technical strategies for a wide variety of clientele. He’s helped large companies such as AT&T, The Bill & Melinda Gates Foundation, Petco, Caterpillar, ADP, Fairchild Semiconductor and KPMG tell their story more effectively using digital content strategies. Does the book discuss the next evolution of content marketing? Will the approach to marketing discussed in the book kill the marketing department? What companies are good examples of using this approach? Learn more about Content Marketing Institute. Follow Pulizzi and Rose on Twitter. Connect with Pulizzi and Rose on LinkedIn.